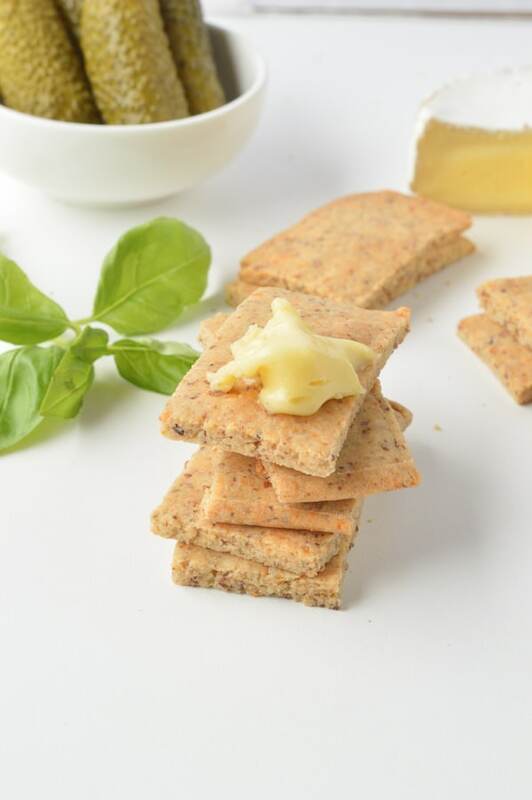 Almond flour crackers are delicious crunchy bites with a bread like texture that makes a delicious savory keto snack or keto low carb appetizer. They are easy to make using only 5 basic ingredients. Spices – optional, of course the recipe will work perfectly with no spices but I love to use some to add more flavor to those simple crackers. I recommend my favorite combo, a mix of onion flakes, paprika, chili, garlic powder. How to make your crackers? Low carb baking is a bit different to regular baking as you are using nut flour or seed flour that contains lots of fiber. Fiber are water absorbent and makes low carb dough a bit more sticky than flour based ones. I always recommend you roll the cracker dough between two pieces of non-stick parchment paper to avoid the dough to stick to the roller pin or use a silicon roller pin with silicon mat. The thicker you roll the crackers, the longer you need to bake them to be crispy. You can control the thickness of your crackers by rolling them with pastry rulers. I like mine slightly thick and roll them to 3 mm thickness. You can also shape the dough as a rectangle before you start rolling. It will make the cutting much easier if you want to shape beautiful rectangle shapes. 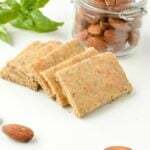 Watch the almond flour crackers video to see the steps by steps recipe ! I highly recommend you watch my recipe video before you start making this recipe. It will show you the most crucial steps and tools to make the recipe easily in your own kitchen. 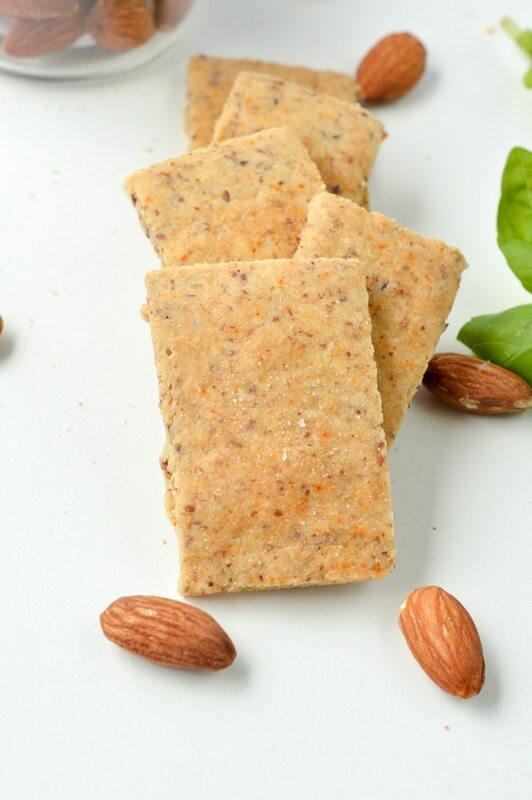 You can of course eat those almond flour crackers as an healthy snack but I found them amazing on a food platter. 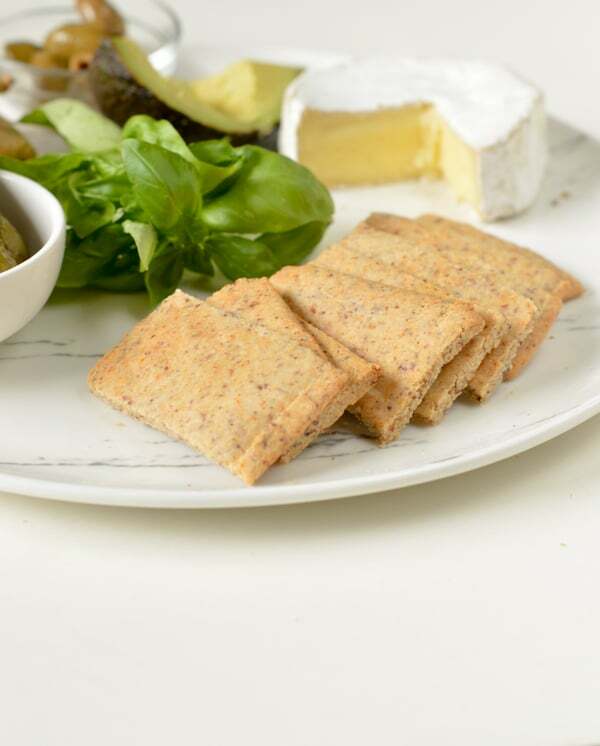 On a large plate or cheese board, add your keto crackers in a bowl in the center. I hope you enjoyed those delicious low carb crackers. If you make them don’t forget to tag me on Instagram I love to see your creations. 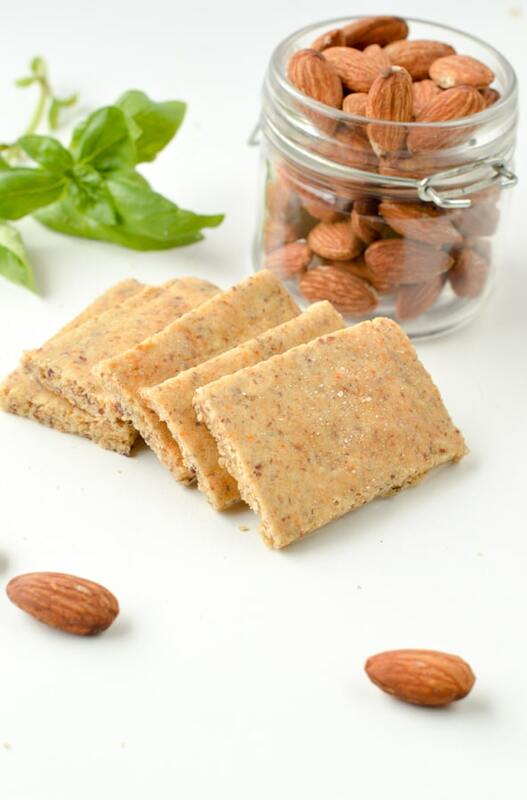 Almond flour crackers are easy keto snacks 100 % low carb, vegan ( no egg), paleo and grain free made with 5 simple ingredients. Preheat oven to 180 (370F). In a large mixing bowl, add all the ingredients, order doesn't matter. We recommend weighting the ingredients in grams for full precision. Stir the ingredients together using a silicon spatula . The dough will be moist at first , drying as you go, keep going until it forms a consistent dough. It should take about 1 minute until the dough comes together and the fiber from the flax meal absorb the water. Shape a ball of dough. Set aside 10 minutes at room temperature. Place the dough onto a piece of non-stick parchment paper. The dough should not be sticky, if so, read the troubleshooting note. Shape the dough as a rectangle with your hands - this is optional, it just make it easier to cut lovely rectangle crackers shapes. Place another piece of non-stick parchment paper on top of the dough. Press slightly with your hand palm to stick the piece of paper to the dough. Start rolling the dough with a roller pin up to 3 mm thickness. Use pastry rulers to guide you with thickness if you like. Note that thicker crackers takes more time to bake and crisp. Remove the top parchment paper layer. Dip a knife blade into the water, slightly dry with a towel. This will prevent the blade to stick to the dough. Cut rectangle shapes - you should be able to make 14 rectangles. I love to shape rectangles crackers and if you already shaped the dough as a rectangle you won't have leftover dough to re roll and reshape. Slide the parchment paper sheet with the cut-out crackers onto a baking tray Make sure you leave some space between each crackers to ensure a nice crisp on the border. If they are too close from each others they don't crisp as much. Bake at 180 C for 20-30 minutes, checking every 5 minutes from 20 minutes baking. The crackers on sides will cook faster, you can remove them first, cool down on a rack and bring back the rest of the crackers in the oven to bake them longer. They are cooked when the sides gets golden and crispy.. If there is leftover dough (some that is not cut-out as beautiful rectangles), gather this dough to reform a dough ball. Repeat the rolling/cutting process again with this dough to form more almond flour crackers. Fully cool down on a cooling rack. The crackers will harden as they cool down. Store in a glass jar or airtight container (careful, plastic box soften the crackers) . Store up to 10 days in the pantry. Don't store in the fridge or they will soften. Tips: For precision I recommend to weight your ingredients in grams rather than cups. Dough is too sticky? this can happen if you did not weight the ingredient or you used a thicker almond flour (almond meal, not recommended!). It this case, simply sprinkle extra flax meal, 1 teaspoon at a time, knead the dough for 30 second, set aside 5 minutes until the flax fibre absorb the extra moisture. It should make the dough less sticky. Hello ! I am so glad you found my little blog and you are enjoying my recipes. Poppy seeds won’t work as they don’t have the same properties of flaxseed. Flaxseed contains lots of fibre and create a gel like texture when it contact with water, replacing egg in recipe. I would recommend ground chia seed as a replacement. I hope this help you ! Enjoy the recipes on the blog. XOXO Carine. You’re welcome ! Enjoy, XOXO Carine. Hi, thanks for the recipe, can’t wait to try it. Just checking if these can be dehydrated instead of being baked. I don’ have a dehydrator and never used one before so unfortunately I can’t answer your question. Enjoy the blog recipes. XOXO Carine. 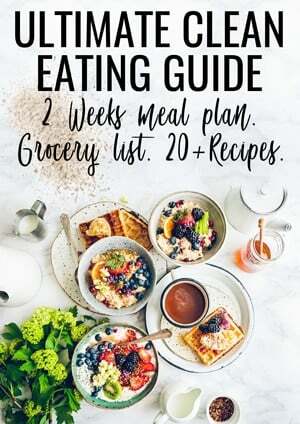 Hi, I ahve been looking for easy recipes such as this! Would it be possible to use psyllium husk instead of the flaxmeal? I am glad you found the blog! 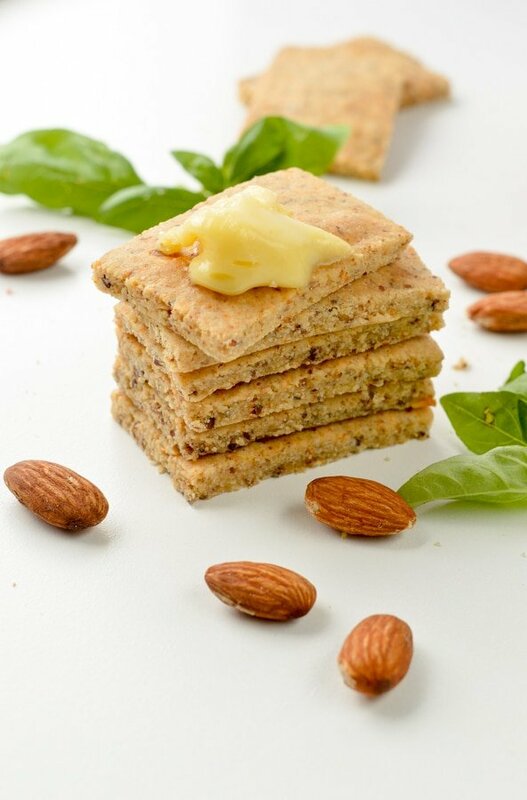 Husk make recipes chewier, softer I would not recommend to swap flaxmeal by husk or the crackers will be softer. Enjoy the low carb recipes on the blog. XOXO Carine.